The hormone insulin stimulates body tissues to absorb blood sugar, and then burn it for fuel or store it for later use. Insulin resistance is a condition in which the body gradually loses its ability to use insulin effectively. To compensate, excess amounts of insulin are produced and released into the bloodstream. Insulin resistance is the primary metabolic abnormality that leads to pre-diabetes and type 2 diabetes (T2DM). Certain nutritional supplements -- such as chromium, alpha-lipoic acid, omega-3 fatty acids, zinc and magnesium -- might help reduce insulin resistance, leading to more efficient use of insulin. Chromium is a trace mineral the body requires to process fats and carbohydrates. It works through complex mechanisms to boost the effectiveness of insulin in body tissue. A March 2014 "Journal of Clinical Pharmacy and Therapeutics" review article pooled results from 22 studies to determine the effects of chromium supplementation on blood sugar and fat levels in people with diabetes. People taking a daily chromium picolinate supplement had lower fasting blood sugar levels, compared to those not taking chromium. Among people with poor blood sugar control, daily supplementation with at least 200 micrograms of chromium was also found to lower A1C, a measure of blood sugar over three months. This effect was seen in people taking chromium picolinate or brewer's yeast, but not in those taking chromium yeast or chromium dinicocysteinate. In examining the effects of chromium supplementation on blood fat levels, the researchers found no reduction in total cholesterol or LDL, the "bad" form of cholesterol. However, people taking chromium picolinate experienced a significant decrease in triglycerides and increased HDL, the "good" form of cholesterol. Alpha-lipoic acid (ALA) is an antioxidant naturally produced by the body. Like other antioxidants, ALA neutralizes potentially harmful substances called free radicals. An overabundance of free radicals, known as oxidative stress, is thought to be a factor in the development and progression of diabetes and its associated complications. Some research suggests that oxidative stress may also contribute to insulin resistance. This has led to interest in using supplemental ALA as a possible way to counteract insulin resistance. Although the effectiveness of oral ALA remains to be conclusively proven, a small eight-week study reported in the June 2011 issue of "Saudi Medical Journal" found that 300 mg of ALA daily significantly lowered insulin resistance and fasting blood sugar. The authors noted their findings were consistent with animal and laboratory experiments, and at least two other small studies on humans. While these results are promising, additional research is needed to confirm whether oral ALA is beneficial for people with diabetes. Omega-3 fatty acids -- abundant in fish oil, some vegetable oils and nuts -- are best known for their role in heart disease prevention. This is important because diabetes increases heart disease risk. In addition, a December 2011 "Clinical Nutrition" article that reviewed the research on omega-3 fatty acids said they may help reduce insulin resistance, although some studies have found no effect. For example, a July 2008 "Diabetologia" article found that fish oil supplementation during a two-month weight-loss program among overweight adults led to greater improvements in insulin sensitivity, compared to those not taking the supplement. However, a December 2007 "American Journal of Clinical Nutrition" article found two months of daily fish oil supplementation did not improve insulin sensitivity among women with T2DM. Omega-3 fatty acids have many effects in the body, but how they might affect insulin resistance isn't entirely understood. Omega-3s reduce triglycerides, suppress fat production in the liver, and help liver and muscle tissue burn fat. It is believed that these effects and others can potentially improve insulin sensitivity. People who take blood thinners should consult with their healthcare provider before taking omega-3 fatty acid supplements, because these can prolong bleeding time. Magnesium is an essential nutrient that has crucial roles in insulin secretion and metabolism of blood glucose. Low magnesium levels are common in people with T2DM, because of decreased intake and increased loss through the urine. Magnesium plays a complex role in enabling insulin usage, and insufficient magnesium may be a contributing factor to insulin resistance. The relationship of magnesium to insulin resistance was examined in a study published in the October 2013 issue of the journal "Nutrients." The study included 234 adults with metabolic syndrome, a condition associated with increased risk for T2DM and heart disease. The researchers found that those who had the largest dietary intake of magnesium were 71 percent less likely to experience insulin resistance, compared to those with the lowest intake of magnesium. Another study published in April 2003 in "Diabetes Care" found that 16 weeks of oral magnesium supplementation improved insulin sensitivity among people with T2DM who were magnesium-deficient. Zinc is another essential nutrient that influences critical functions involving insulin production and release, and its effects on body tissue. Zinc deficiency is associated with insulin resistance and increased blood sugar. Zinc works both independently and in combination with insulin to enhance glucose absorption from the bloodstream into the cells of the body. Zinc is also necessary for effective insulin release from the pancreas, and helps protect insulin-producing cells from damage caused by oxidative stress. In a small study among obese women without diabetes, supplementation with 30 mg of zinc daily decreased insulin resistance, as reported in the June 2012 issue of "Nutrition Research and Practice." Another study reported in December 2010 in "Metabolic Syndrome and Related Disorders" also found improved insulin sensitivity among obese children after eight weeks of zinc supplementation. An April 2012 "Diabetology and Metabolic Syndrome" article that reported on the effects of zinc supplementation for diabetes evaluated pooled results from 25 studies, including 22 among people with T2DM. The researchers reported that zinc supplementation was found to lower blood sugar levels, although insulin resistance was not directly measured. A healthy eating plan, exercise and losing excess weight are the cornerstones of treatment for insulin resistance that has not yet progressed to T2DM. Medication called metformin (Glucophage, Fortamet, Glumetza) is also sometimes prescribed. Other medications are often used for people with T2DM. The potential role of nutritional supplements for insulin resistance treatment is still being investigated. As of 2016, the American Diabetes Association does not recommend nutritional supplements for treatment of pre-diabetes or T2DM. Many people, however, opt to use supplements as part of their treatment plan. If you're interested in adding supplements to your regimen, talk with your healthcare provider. This is important because supplements can interact with medications, including diabetes medications. 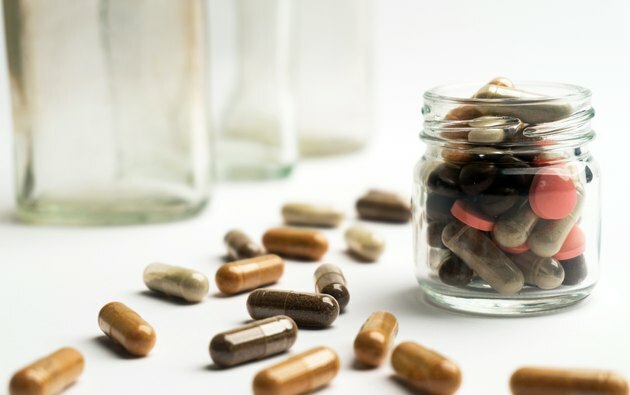 Some nutritional supplements might also cause potentially dangerous side effects. Regular blood sugar monitoring is essential if you're taking supplements along with diabetes medications. Adjustments in diabetes medication dosages might be necessary, but you should never stop taking your medicines or change the dosages unless your doctor instructs you to do so.